Reward yourself by serving your community. The volunteer fire and emergency medical services is a challenging, exciting and rewarding experience, conveniently condensed into one package. It offers several viable options which you can pursue as a volunteer or for a career position. Volunteer emergency services is a grassroots operation. 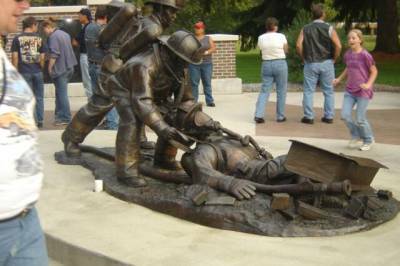 For hundreds of years, volunteer firefighters have done what they have to do to provide service to the community. When they needed something, they had a bake sale or a fundraiser within the community to obtain the funding. It was this very thing that has made them so visible, respected and appreciated in the community. It is likely that the average person in our community doesn't know that volunteers are indeed providing the emergency fire and medical services. We influence outcomes that directly affect people's lives by responding at a moments notice, whether it's day or night, to put that fire out, to rescue that person in harm's way or sometimes, just to give the assurance that, in fact, nothing is wrong. In 75% of the communities in this country, volunteers provide the only organized force to do this work. 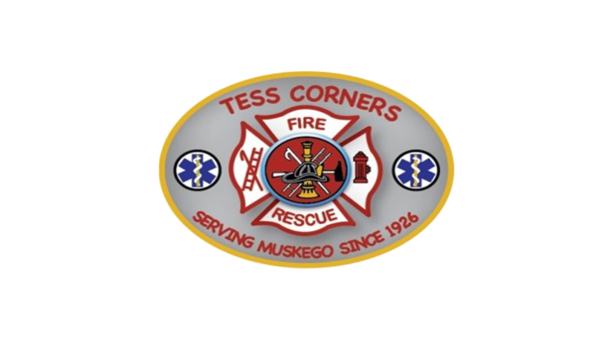 The Tess Corners Fire Department is staffed by people just like you! Our fire stations are staffed by volunteers from within the community who also work full time jobs elsewhere. Our members are from all walks of life - construction workers, professional workers, career firefighters and EMT's, students, retirees, mechanics, nurses and more. We are always looking for new fire and EMS members. All new members serve a one year probationary period, during which they obtain either Firefighter 1 or EMT-B certification and attend department training on equipment and procedures. Typically, this training will come at no expense to you. Applicants must be at least 18 years old (Cadet Members 16-18 while still in High School) and should live with the City of Muskego. All applicants must succesfully complete a background investigation and should be in good physical health. We realize that firefighting and EMS may not be for everyone, but we believe that volunteering can be. There is plenty of work to be done on or behind the scene including running the business of the Tess Corners Fire Department. The personal rewards and satisfaction received from what we do is often beyond description. The bottom line in our business is measured by the loss of life, pain and suffering, and the property damage we have prevented and reduced. Q. How much time does it take to volunteer with the Fire Department? A. The time commitment varies and depends on the number of fire calls the department is called upon to respond to. A training drill, meeting, or detail is held every Monday evening and it is important to attend as many of these events as possible. On average, a member can expect to spend atleast 15 hours per month serving within the department. A. In addition to the fire department drills, all firefighters are expected to complete EMT Basic or Fire Fighting 1 during the first year of membership. Additional training classes are available on a variety of topics, if a member wishes to expand his or her knowledge and skills. Q. How much does it cost to volunteer? A. There is no charge to join the department. We provide equipment, protective clothing, and training at no cost to you. If this sounds like something that may interest you, please give us a call or email us and we'll be happy to answer any questions you may have. (414)422-9733 or officers@tcfiredept.org. Click below to fill out an application. Applications can be dropped off between 7AM-6PM Mon-Fri, or Monday Evenings 6PM-9PM.